Real assets are generally defined as “physical or tangible assets that have value due to their substance and properties,” which may include commodities, real estate, and land. 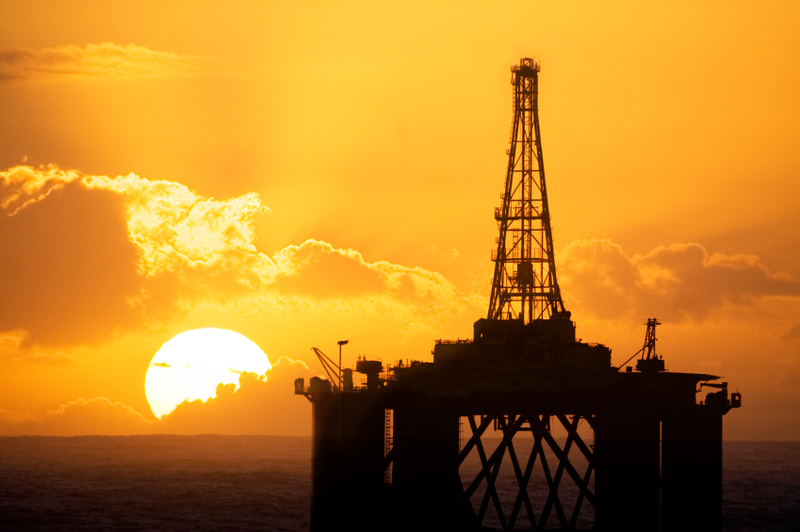 Real assets can be produced and/or sold by a variety of companies such as natural resource and real estate companies. I wouldn’t have brought it up if there weren’t benefits to investing in real assets. Traditionally, real assets have low correlations to the usual stocks and bonds. This low correlation makes them a great addition to a portfolio as they typically perform differently depending on the market environment. In fact, over the last 15 years, an 80/20 split of U.S. equities and a combination of real assets, outperforms the pure U.S. equity portfolio by 70bps per year, and does so with less risk. 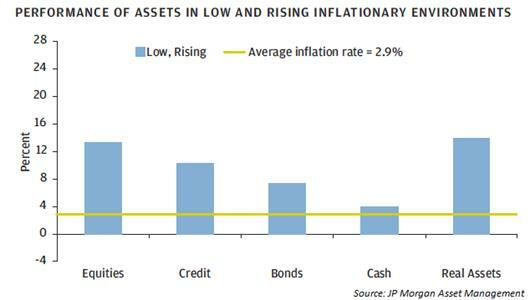 Real assets also provide a potential hedge against inflation. The current monetary environment has led to colorful discussions about the current level and expected path of inflation, with very mixed results. One thing is clear – that even low inflation erodes away savings. According to BlackRock, a savings of $100,000 will lose over $50,000 in purchasing power over 25 years with just 3 percent inflation. The graph below illustrates the value that real assets have to protect against this threat. Commodities are any trade goods used in commerce. When traded on an exchange, all commodities must meet a minimum acceptable grade called the Basis Grade. Commodities are subject to numerous risks including pricing risks, production risks, input price risk, and market risks.